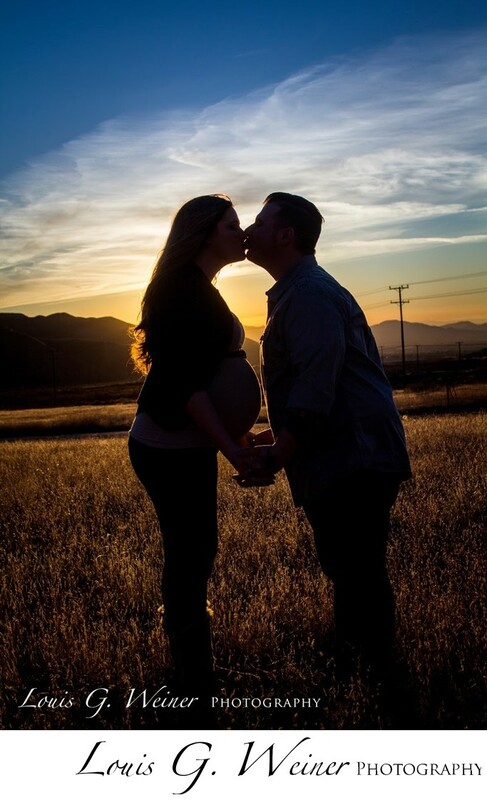 Rancho Cucamonga Maternity session with this amazing young couple. Sunset backgrounds make powerful silhouettes . It is important to capture maternity sessions like all family portrait sessions because these moments are fleeting, in a blink of an eye time passes and moments not captured are sometimes difficult to remember clearly, that is why a photograph can be worth a thousand words. Maternity sessions are so wonderful, a soon to be mother is beautiful. These photography sessions can be powerful in the studio or out in nature like this photograph. You can see some baby photographs of this baby boy in the "babies and infants" portfolio. I have had the honor of photographing for these sweet people for years now, two babies now and many infant sessions. My goal is to create a relationship with my clients and work with you for years to come. I love to watch families grow up.